You've probably never seen your timing belt, but the engine in your Nissan cannot run without it. The timing belt is actually what allows the engine's crankshaft and camshaft to motion the cylinders in the engine, using the correct revolutions per minute (RPM's). This happens in a matter of seconds, and hundreds of times per year, throughout the duration of owning your Nissan. When is the replacement of a timing belt necessary? The decision to replace your timing belt should be based on mileage, and of course, a mechanical breakdown. In almost all breakdowns, the engine usually stops abruptly and never starts again. Typically, this is caused by the timing belt slipping or completely breaking, while the engine is operating. Prior to this occurring, you may notice that the engine is idling rough. Because the timing belt needs to align the reinforced teeth with the crankshaft a countless number of times throughout the engine's performance, the teeth wear down over time. Additionally, the timing belt can stretch, not unlike a rubber band that loses it elasticity over time. It's important that a timing belt is replaced when replacing the water pump in your Nissan. Typically, the timing belt needs to be removed anyway, and it is mechanically unwise to use the same belt. You will be pleased to know that Nissan of Tustin only uses all genuine Nissan parts. Our highly trained service technicians are happy to answer your questions about the services completed. 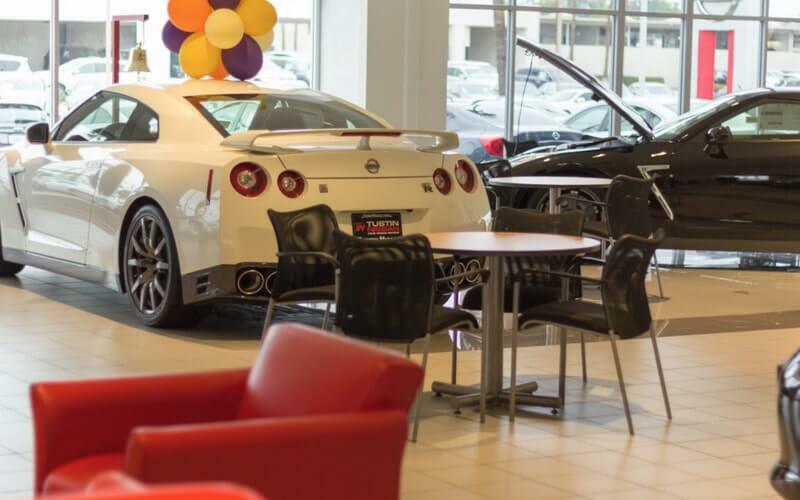 Nissan of Tustin is committed to providing customers with quality service that meets the standard of excellence. 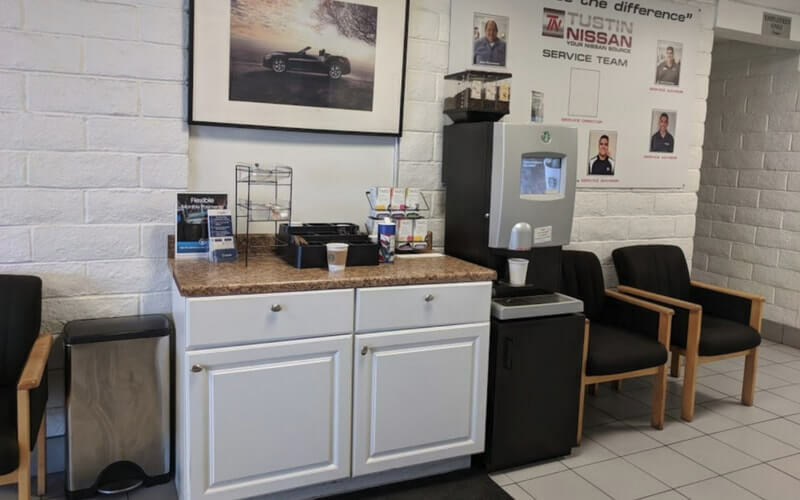 Our team creates a friendly and approachable environment to make you feel comfortable while at our dealership. 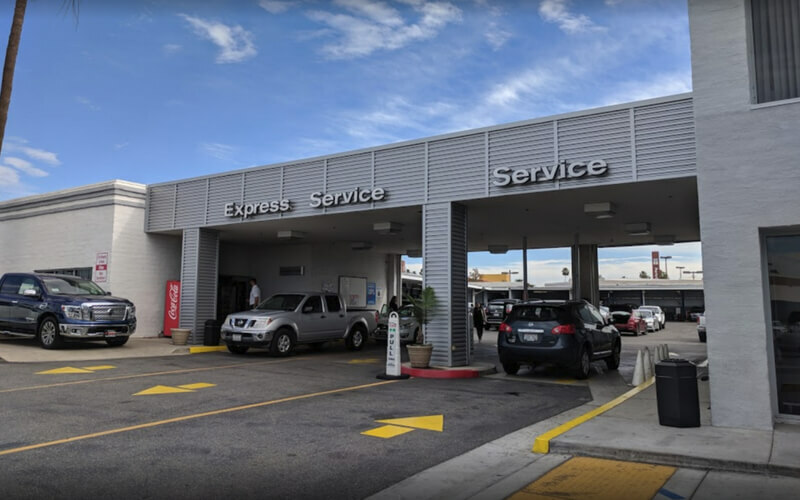 We offer express service to accommodate your busy schedule, and our hours of operation can meet your vehicle drop-off and pickup needs. Your next vehicle service can also be rewarded, by earning points with Nissan of Tustin's rewards program. Schedule an appointment today, using our online service scheduler! We're located right in Tustin, CA. and welcome our Irvine and Santa Ana, CA. customers!